Over 20,000 men and women strong, QNet has managed to build itself an army in Egypt through their team “Faith”. The Cairo Hockey Stadium was almost filled, as Independent Representatives (IR) from all over the country stormed in, creating an atmosphere close to the spirit of football-fans, including drums, fireworks, and flags. They all came to attend the second Faith Carnival on Friday, the 13th of January 2012, which should mark the beginning of a new era in Team Faith, Network Marketing and QNet as a whole. The focus of the carnival was the promotion of Network Marketing, the refutation of economic, social and religious criticism directed at QNet, and the motivation and inspiration of the team. Almost equivalent to Morton Rhue’s 1981 Novel “The Wave”, the attendees chanted their slogan in such unity, fierceness and willpower that made the floor seemingly shake; screaming out: “The V, the V, the V, Faith!” while shaping the victory-sign with their fingers and holding them up. “The V” refers to the partner company of QNet. The carnival offered a mixture of party, education, success stories and fun, and hosted international speakers, artists and public figures, such as Michael and Mark Ferreira (Founders and Backbones of Faith), Dr. Ezzat Abo Ouf (Actor), Dr. Sherif Abo ElNaga (Vice-President of 57357 Cancer Hospital), Chief Pathman Senathirajah (Managing Director of V), Dr. Ahmed Farouk Ghoneim (Professor of Economy - Helwan University), Dr. Rashad Abdellatif (Professor of Sociology - Helwan University), Amr Diab (Singer), besides various Egyptian QNet leaders. Network Marketing depends on the direct selling method in which independent agents serve as distributors of goods and services and start recruiting their customers as their own sales-force. All speakers were certain that sooner or later, the whole world would join QNet, even those who opposed the idea at the beginning. “If your friends and family do not join today, be patient with them. They will join eventually. We are the warriors of freedom that offer them financial freedom, and when Allah gives this message of hope and power to you, you must have the responsibility and the humility to pass it on,” Mark Ferreira explained during the carnival, confirming that Egypt is part of changing Network Marketing history. Ferreira’s father Michael focused on the pros of Network Marketing in his speech, clarifying it was much more efficient than other marketing tools, not only because it included no distribution costs, but also because it brought upon societal change and job security. Claiming that it was in the hands of Faith to change the lives of others and the economy of the country, Ferreira Sr. said that Network Marketing was not only about selling products, but also about building a network and army like “this one”, pointing at the 20,000 attendees. “When you have an army, you have an asset that will give you residual income,” he added. To refute the controversial topic of QNet being against the principles of religion, and especially Islam, the organizers displayed a video showing Sheikh Ali AbdelBaqi, the Manager of the Islamic Studies Advisory Department, and Priest Dr. Sameh Hanna. Both confirmed that the services offered by QNet are not taboo, as long as they go according to the Sharia and the laws and rules of the country. A lot of effort has also been put into clarifying the economic side and benefit of QNet, underlining that it does not ruin the economy, but rather invests in Egyptians by providing teamwork and social skills, which should lead to a better, service-focused economy in the future. Additionally, QNet does not apparently lead to saturation of people and products, since people do not leave their jobs for Network Marketing and the marketed, imported products do not replace Egyptian manufactured goods. In the concluding speech, Malaysian expert Pathman Senathirajah boost the confidence of the attendees one more time by stating: “My passport is Malaysian, but my heart is Egyptian, because you built this network, this family and you made it possible despite the great challenges in your country. 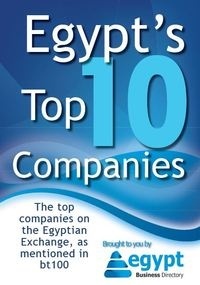 When people in other countries tell me that it is difficult to build up a business, I tell them: Go to Egypt and learn from the Egyptians.” He was also confident that Faith Egypt would be the number one QNet team in 2012, if they worked as hard as they did till now. QNet was established in Egypt in 2009 by Khaled Obbeya, Mohamed Abdallah elGendy, and Mohamed Magdy Allam, 11 years after the original business started in Asia. Today, QNet is present in over 160 countries with over 8 million employees and over 20 types of services.